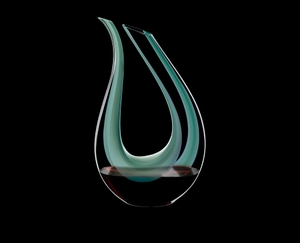 Mint colour is applied to large areas of the Decanter Amadeo menta, giving it a new, modern aesthetic. Ever since it was introduced to the market in 2006, the Amadeo Decanter, designed by Stefan Umdasch, has been one of the icons of Riedel’s collection. As a limited edition the Amadeo is available in three colours: Amadeo Menta (a shade of green), Amadeo Grigio (grey) and Amadeo Rosa. 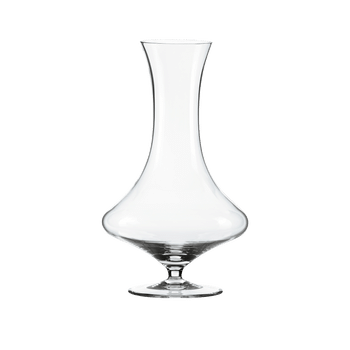 Mouth-blown from crystal glass and handmade in the Riedel factory in Kufstein, these decanters are more than perfect instruments of wine enjoyment, recommended for more mature red wines, young white wines and Champagne. They are also a clear declaration of good taste.